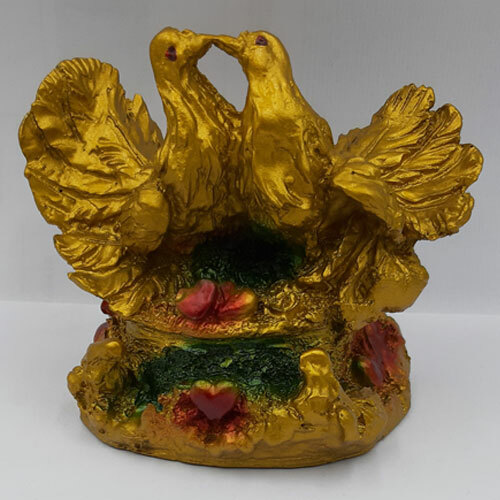 If you have been looking for a way to rekindle the spark in your love life, the Feng Shui Love birds are here to help. All you need to do is to keep the Love Birds in the South-West direction of your bedroom. With the use of the Feng Shui Love Birds, the couple is filled with romantic feelings and their bond strengthens. If the people in love gift Love Birds to each other, they should always gift a pair and not a single bird. Also, giving the Love Birds to newly married couples is considered auspicious. The Feng Shui Love Birds give the desired results for couples in relationships as well.